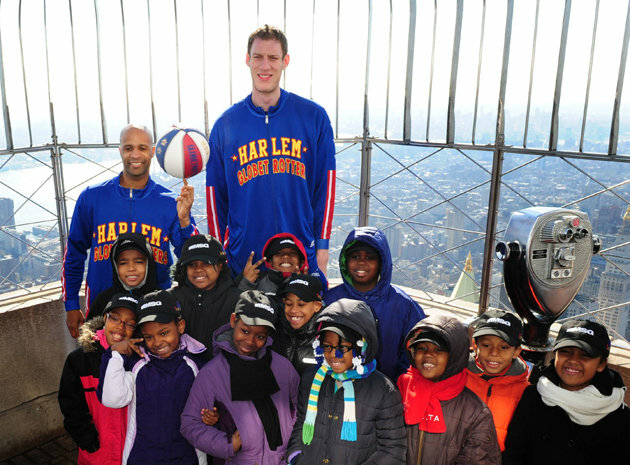 One would think basketball should be easy for Englishman Paul Sturgess. 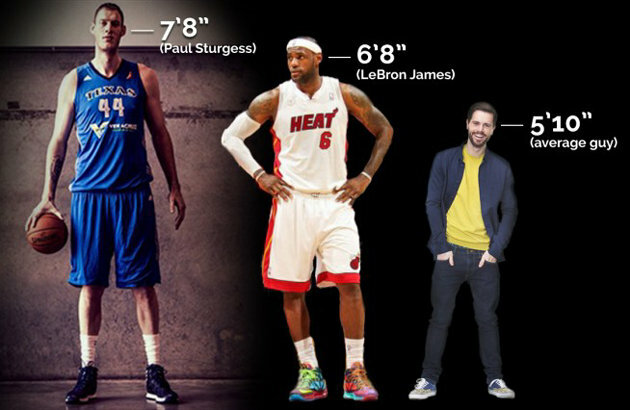 At 7-foot-8, Sturgess, the center for the NBA Development League’s Texas Legends is the tallest professional basketball player in the world. The rim stands less than three feet above his head and is within reach of his long, gangly arms. His opponents, D-League players who would be tall in any other setting, look like jersey-wearing Lilliputians compared to Sturgess. But great height comes with great challenges, and late into the Legends’ season, Sturgess had appeared in just 12 games, averaging only 0.9 points and 0.9 rebounds per outing. He hadn’t yet registered a block. Blakeley began working with Sturgess after the tall hipster joined the Legends, in November 2013. On Sturgess’s first day of practice, his feet bled through his shoes as he tried to keep up with his team-mates running up and down the court. His size 22 dogs weren’t ready for the speed of the professional game. So Blakely tried a different approach, putting Sturgess through workouts on a stationary bike and light shuttle runs, bouts of cardio that placed less stress on his lower extremities than running the court. “We were taking on an extremely green athlete and had to scale it way back to the basics,” Blakeley added. After weeks of work, and with some new kicks and tape on his feet, Sturgess was in better shape. But he still needed to develop the strength to handle the pounding of the inside game. Unfortunately, his extreme height, combined with his weight (320 pounds), makes many athlete-development moves like Squats and Lunges risky for him, since they place an undue amount of stress on his knees, hips and lower back. Instead, Blakeley had Sturgess start out with Leg Presses, which develop lower-body strength without subjecting the knees to as much wear and tear. Another issue preventing Sturgess from seeing significant minutes is the league’s verticality rule, which requires referees to call a foul whenever a player does not jump straight up in the air while defending a shot. Sturgess struggles the most with what Blakeley calls “dynamic movements” quick bursts of acceleration and sudden changes of direction. A smaller, more mobile player can throw Sturgess off balance. So Blakeley has him working to improve flexibility in his hips and strengthen his inner abs and core, which should help him keep his balance when he reacts to speedy moves. Sturgess also jumps rope and performs agility drills to improve his reaction time. “I’ve been (jumping rope) for a couple months now, and I am already feeling the benefits of how much better I move,” Sturgess said. “It helps me jump quicker and more explosively. I also do a lot of agility exercises and lateral slides, which helps me open up my hips and helps me move.” The work is beginning to pay off, according to both men. Sturgess is making progress in his workouts, and Blakeley is slowly adding strength-building exercises like Squats to the lofty center’s routine.